Given recent market turbulence, it’s no wonder that investors are wondering whether the economy is heading in the right direction. The r-word appears to have made a re-appearance in the comments of strategists in the press and elsewhere. But just how worried should investors be about the risk of a full blown recession? Based on our analysis: We aren’t quite there yet. Rather than relying on a few anecdotal bits of evidence, big data allows us to measure exactly how much more frequently words like “recession” have crept back into use. Examining who is talking about a recession can give us insight as to who is potentially worried about economic growth. We can then decide if we should be worried, too. Compared to the recent past, we’re seeing an uptick in discussion about recessions: Data from Google Trends suggests a definitive increase in people including the term in their internet searches. 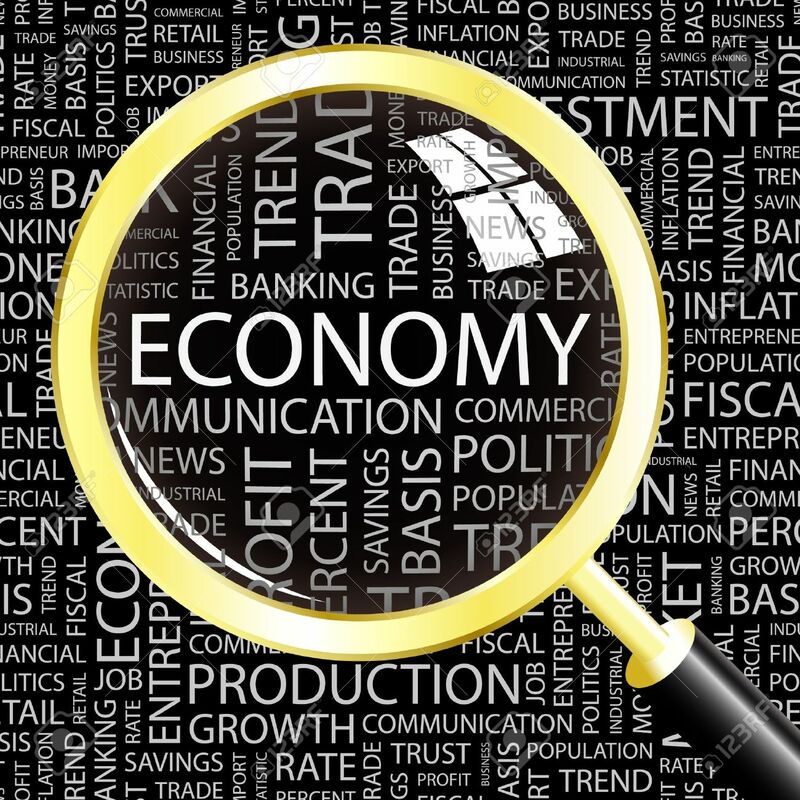 While the word “recession” might have a bit more mind share among the broader community, we’d like to know whether the same is true among the actual economic decision-makers. Are investors and business leaders showing equal concern over a potential recession as the broader public? Digging into the data: What do people in the know say? Every quarter, BlackRock mines through 3,000 earnings conference calls and compares the topics and language used by CEOs and CFOs. We look for small changes in their language that hint at how their thinking on a topic has shifted. We also do the same for question and answer sessions, where investors can pose questions to management about a variety of topics. Over the last two quarters, there has indeed been greater use of the word “recession” during Q&A sessions. However, there is little evidence that it is used more prominently in comments from management teams. Looking back at similar forums after 2008, we see that both investors and management teams used the word more frequently. One interpretation of this comparison is that while investors now have recession on their minds, management teams are less concerned. We also machine-read news stories from wire services such as Dow Jones and have also seen little increase in articles featuring the word “recession” in their stories. Again, looking back at the global financial crisis when usage of the word “recession” in news articles increased dramatically, it seems less topical now, as illustrated in the below chart. Financial markets are ultimately a reflection of expected economic activity and current risk appetite. Unfortunately, economic data is released with a lag, meaning economists only know whether the economy has entered a recession after the fact. Most economic data gives us at best a snapshot of what happened a few weeks or months ago and even that is subject to large revisions. Even though the first quarter began January 1, ending on March 31, the initial estimate of Q1 GDP won’t be released until April 28. What’s more, a recession by definition is two consecutive quarters of negative growth. So are we in a recession? Ask me on July 29! Or maybe we aren’t in a recession yet, but it will start next quarter; we’ll know for sure on October 28… You get the idea. Collating all the data to calculate (or even estimate) GDP is a huge task – that’s why the numbers are reported with a lag. But there are more timely pieces of data that can tell us what is happening in the economy right now. Just as you don’t have to rely on last night’s weather forecast to know whether it’s raining – you can look out your window – we can use certain information to take the economy’s pulse. At this moment, people are spending money in stores or online; passengers and cargo are travelling by road, rail, sea and air; and individuals and companies are falling behind on credit repayments. “Nowcasting” aims at providing a timely measure of something that is not observable in real-time, such as aggregate economic activity. Unfortunately, observing the state of the economy isn’t as simple as looking out the window. Information is collected and collated over different time frames: jobless claims are reported every week, retail sales monthly and GDP quarterly. And different measures of activity behave in different ways: industrial production can bounce up and down depending on orders and inventories; imports and exports respond more slowly to changes in exchange rates. Fortunately, there are ways to get around these challenges. In the same way that photo imaging software fills in a missing part of a picture by looking at the surrounding parts or similar images, researchers can infer what is occurring within the quarterly data and make it comparable to having a monthly view. And statistical techniques can be used to blend data that bounces around with data that is more stable. To “nowcast” recession probability, we started by gathering 70 different sources of data that provide a view of economic activity (compared to 10 for the Conference Board’s Leading Economic Indicators Index). These data sources expand beyond the typical LEI to include things like delinquencies on payments and even vehicle miles traveled. Because the data sources come out with different frequencies and timing, we had to “bridge” the gaps between all of them to get a continuous stream of comparable data. Using a statistical tool called Principal Component Analysis (PCA), we then extracted a single common component that accounts for most of the variation in the data series. This common component can typically be thought of as the overall health of the economy. Our “nowcasted” economic health indicator updates weekly and reflects timely changes in economic activity. Periods where this indicator is significantly below zero are typically associated with the NBER’s definition of recession. We can also drill in to specific components of the 70 inputs to get a view of particular parts of the economy (ie spending and credit expansion). In the below chart, we show the total indicator with NBER recession periods overlaid. As you can see, the significant dips illustrated by our indicator correspond with recessionary periods almost exactly. Furthermore, we can see similar trends with credit and spending. The indicator also tells us that while economic activity has slowed it still remains healthy compared to periods like the last three recessions as defined by the NBER. Employment remains robust although overall production, as you can see in the last chart, has showed some signs of slowing. So is a recession imminent? As I noted before, our analysis suggests we’re not there yet. But thanks to big data and a little “nowcasting”, we have better tools to know when we reach that point – instead of relying on delayed reporting after the fact. Paul Ebner, CFA, is a member of BlackRock’s Scientific Active Equity Team and is a Senior Portfolio Manager for global equity market neutral strategies.